Last week was Earth Day. Recycling is mainstream these days. Gotta do your part. When artists use recycled materials in their art work they not only save resources but they embue the once functional item with a new beauty. See the gorgeous colored metal bits in the buckle above? They were once part of mundane and hardly noticed license plates and industrial signage. 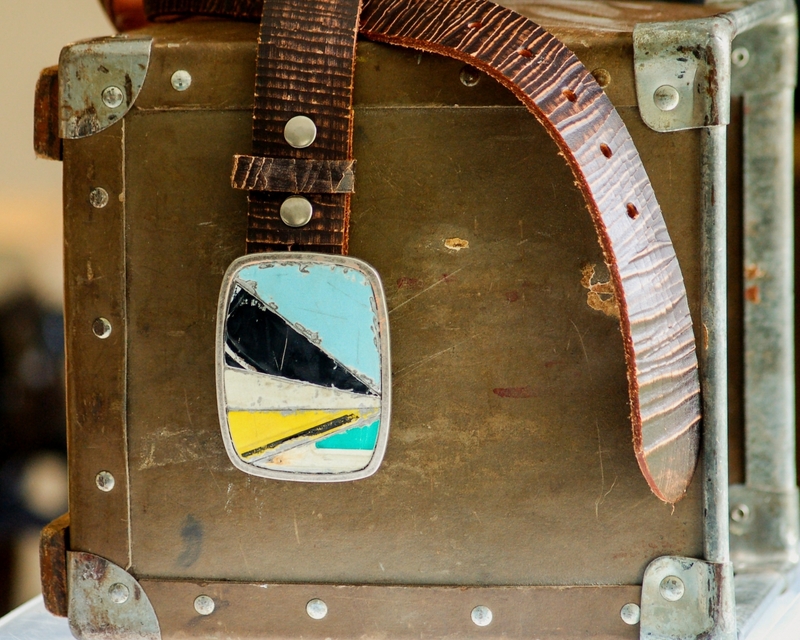 Old painted metal takes on a beautiful weathered patina that sings. Thats all I use for my handmade buckles. See more at www.randitan.com.